Being the keen observer of pop culture and fashion that you are, you’ve no doubt come across the Members Only jacket, that awesomely retro piece of outerwear from the vaunted, confusingly great decade known as the '80s. 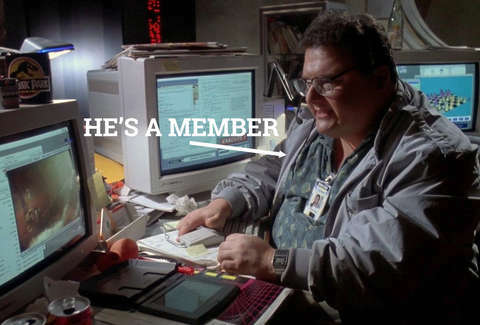 If you were one of the many who actually wore a Members Only jacket in the '80s, congratulations on being able to use the Internet, you maverick! But regardless of your relationship with the jacket, you likely don’t know the whole story, so sit back and get a load of this history with these 11 little-known facts as you wait for your perm to set. The Members Only brand has expanded, and now features pretty great buttondown shirts alongside their jackets. 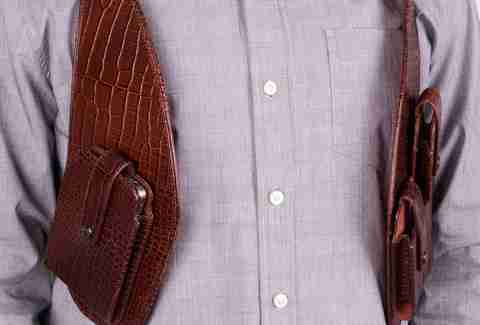 But they also make this embossed leather shoulder holster, for your gadgets and accessories, that could really freak out the TSA. Get one and you’ll be just like Dirty Harry, only with more tweeting. It’s possible you knew this already, but we wanted to point out that, on a very, very fundamental level, this slogan is completely obvious and literally impossible to disagree with, much like "when I move my arm...something happens" is also true. And some copywriter probably got a huge promotion for coming up with the thing. Such a legacy. Epaulettes, or “those fringey shoulder thingies” you see on old military uniforms, first appeared as we know them today in the 17th century. 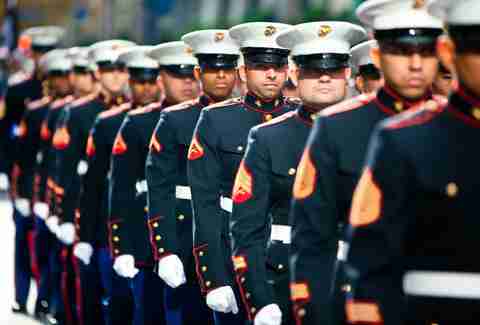 The United States military used them for decades, but in 1836 the US officially replaced epaulettes with shoulder straps, which you see on classic Members Only jackets and Marine dress uniforms. 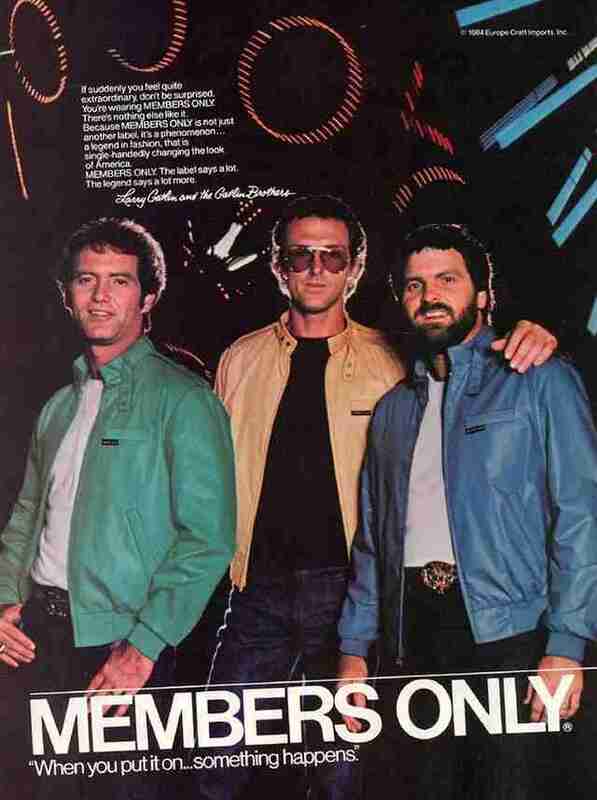 The jackets hit their sartorial stride in the '80s, but Members Only was founded in 1975, making it as old as Saturday Night Live (which the jackets are currently funnier than) and Angelina Jolie (who the jackets will never be as hot as). 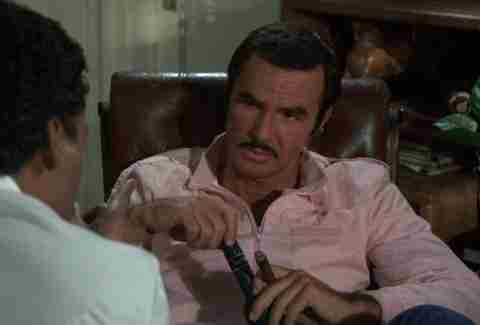 In the 1985 action movie Stick, Burt Reynolds — who starred in and directed the thing — played Ernest "Stick" Stickley, an ex-con with a heart of gold. Ernie also rocked a piggy pink Members Only jacket, presumably as an intimidation tactic and/or because it really brought out his mustache. In 2011, the famous Gumball 3000 car rally cost 25,000 GBP (almost $42,000) to enter and ran from London to Istanbul — a distance of 3,000mi, which equates to about 16,615 Members Only jackets lined up shoulder to hem. As part of a strange marketing scheme in the late '80s, Members Only put up a couple "commercials".... One advertised that the USA's democratic voting system was engineered to keep “fools like these” (namely, for one, Hitler) out of power, and encouraged citizens to get to the polls. Another discouraged pregnant mothers from drug use because “drugs hurt everyone.” Both ads featured a doomy, ominous voiceover and precisely zero Members Only jackets. When American Idol contestant Eric Gordon wore a Members Only jacket to his 2014 audition it was all judge Harry Connick, Jr. talked about. 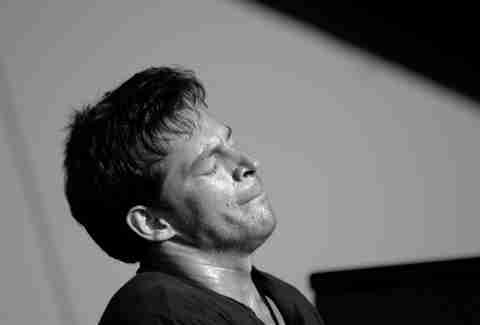 Harry Connick, Jr. is a handsome, successful musical authority who sweats when he performs — AND he was in Independence Day. Eric went on to Hollywood, so… obviously. 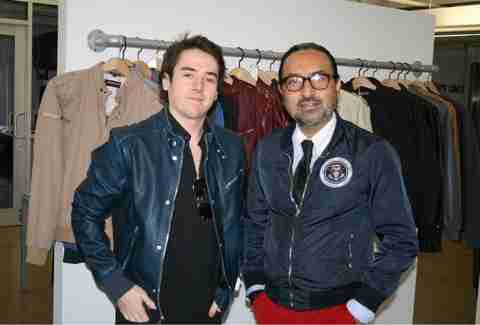 CEO Jaggi Singh of JR Apparel World, which owns Members Only, purchased the license to M.O. literally because his 15-year-old son wanted one of the jackets. He sniffed out a trend; the rest is history. Stick with us here. (Oh, and spoiler alert.) The final episode of The Sopranos was incredibly, frustratingly ambiguous — did Tony live? 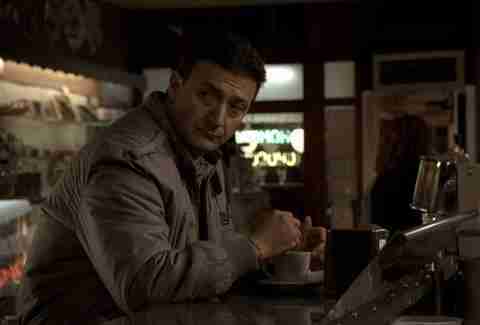 Or did that dude at the diner counter (credited as “Man in Members Only Jacket”) whack him? Debates over symbolism aside, Paolo Colandrea, the “actor” in the jacket, wasn’t an actor at all. He owns a pizza shop in Pennsylvania, where the Sopranos casting agent discovered him after eating there. Soap opera heartthrob (and 7-time Daytime Emmy Award-winner) Anthony Geary sported multiple styles of the Members Only jacket in a ridiculous, extremely “'80s” commercial for the brand. How '80s, you ask? He showed off jackets in red leather, old-man gray, and black satin — which he wore as a tuxedo jacket — while sporting a permed mullet, aviators and what appears to be an awkward, fake-looking mustache.